Review: This book was just so great. I expected to like SOME of the essays in this book but I took something from each and every one of them! I just loved the variety of topics that they covered, the variety of writers that were chosen. There is excellent representation across the entire book so there is literally something in here for everyone. I expected a lot of the essays to be personal or some of them to be fact based but there is a great balance between fact, opinion, memoir style stories and poems in this book. I loved the fact that sometimes I was called to action, sometimes I learned something new, sometimes I was nodding along about a shared experience, it was just a great read from cover to cover. I also loved the openness about every topic, nothing was taboo and this book is supremely body positive as well! 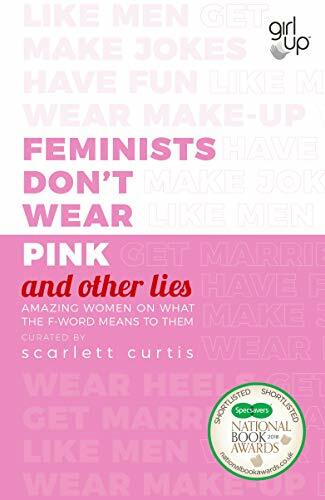 Some of my favourites are 'A Playlist for Feminists in Any Situation' by Akilah Hughes; 'Feminist Comebacks' by Scarlet Curtis; "I Don't Feel Like A Woman' by Swati Sharma; 'If in Your Mind You Are Born A Girl' by Tasha Bishop and 'Braless White Women' by Angela Yee. Really though, I could have listed anything here. I love how open and honest these writers were and this really is a great collection to add to your shelves or give as a gift to someone who needs it!